The invention of the Bitcoin protocol has opened the door to new forms of financial interaction. One such form may be to adapt Bitcoin technology for use as a community currency. A community currency is a form of money issued by a non-government entity to serve the economic or social interests of a group of people, often in a small geographic area. We propose a model of a community cryptocurrency that includes a community fund from which community members may take out loans if the community votes to approve them. We consider possible vulnerabilities and mitigations to issues that would affect this community fund, including issues of identity, voting protocols and funds management. 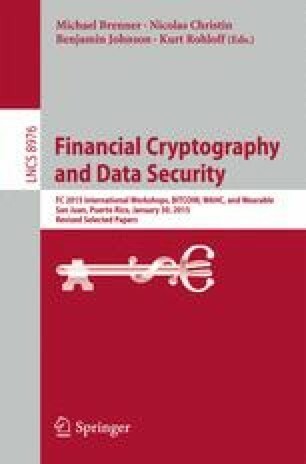 We conclude that these vulnerabilities are, in most cases, amenable to technological mitigations that must be adaptable to both community values and changing conditions, emphasizing the need for careful currency design.